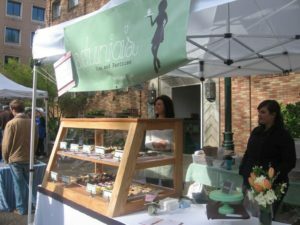 Petunia’s Pies & Pastries® is a flourishing gluten free & vegan baking business that was started from the ground up by its current owner, Lisa Clark. Lisa creates a plethora of innovative pastries and desserts featuring fresh, seasonal, local and wholesome ingredients that are ENTIRELY gluten free & vegan. Her creative vision and plans began years ago as a child, as she learned to bake with her mother, Kathy. 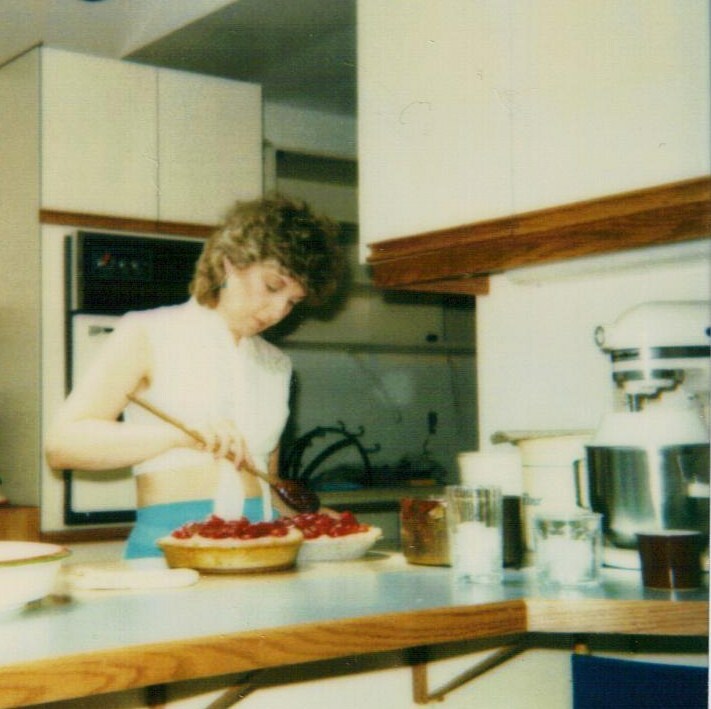 Lisa’s mother taught her all about traditional baking and from both parents, she learned how to express love through creation and nourishment. It quickly became clear that sweet treats, creative expression, acts of service and nurturing others were part of her foundation and what she needed to do to thrive. 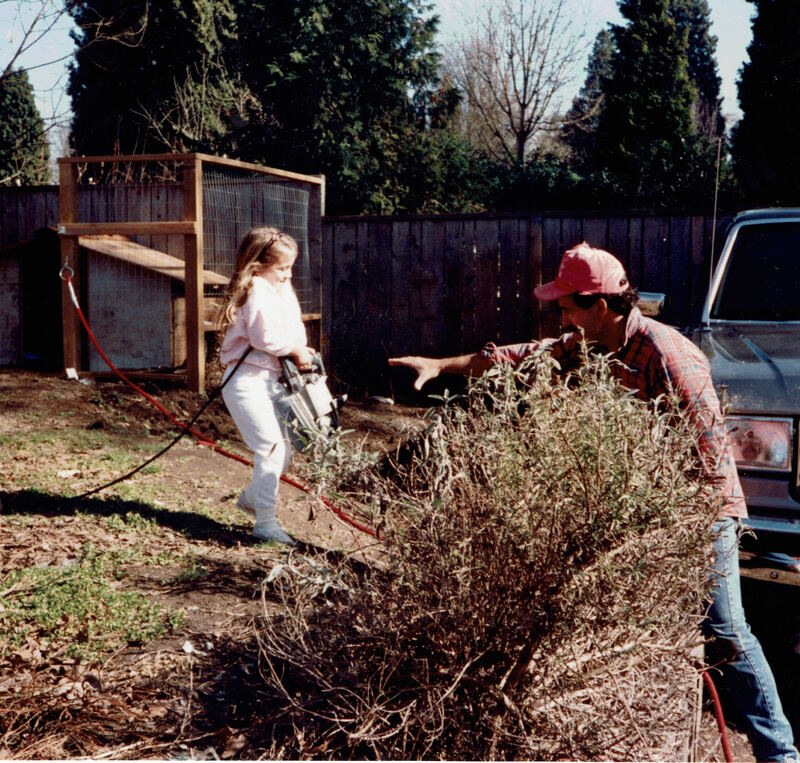 When Lisa was 12 years old, her mother passed away after battling ALS for seven long years. Needless to say, this dramatically changed Lisa’s life forever. Once she went off to college at U of O, Lisa began to have some severe issues with her health. Part of her issues was that she had developed a severe intolerance to gluten and dairy, and had to immediately cut both out of her diet. 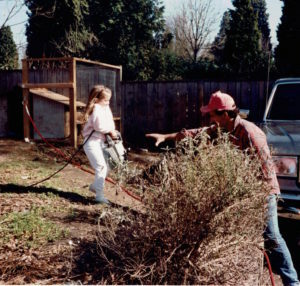 Lisa would also later be diagnosed with Lyme Disease, which has caused many other complications along the way. But through it all, Lisa always remembered to keep fighting and to keep moving forward. Her dad had always quoted Vince Lombardi by reminding her, “It’s not whether you get knocked down, it’s whether you get up.” This powerful message has helped to shape and form Lisa into who she is today. After her college graduation and then holding two amazing baking jobs where she learned a ton about production baking and decorating, Lisa got an idea to start a niche gluten free & vegan baking business out of her tiny home kitchen in Portland, Oregon. She decided to name the business after her mom’s ceramic pig, Petunia, who hung on the wall over the stovetop in her childhood kitchen. And in this way, she was able to honor her mother, and how she got her start baking. In 2010, Lisa founded the very first entirely gluten free & vegan baking business in Portland, OR; Petunia’s Pies & Pastries®. As soon as Lisa began sharing her inventive, alternative ingredient-focused goodies with the residents of Portland, things grew more quickly than she could have ever imagined. On her own at the age of 24, she grew the business from a small farmer’s market operation, and expanded into major Portland area wholesale markets (now available at 75+locations), weddings and event services, and shipping product throughout the country. Lisa gained a large and loyal customer base and established the company name in Portland and amongst the local food community. One of her very first wholesale clients was a very small, very cute little coffee shop called Spoke Coffee on SE Main street. Jacob Williamson was one of Spoke’s owners and the only shop employee. After several customers begged him to, he began ordering Petunia’s Pies & Pastries® treats to carry in his café. At that point, Lisa was still doing all of the production baking, packaging and making deliveries on her own. The first day she delivered to Jacob’s coffee shop also changed her life forever…Lisa and Jacob met that day and a very long story short, it was love at first sight. He began baking with her after he closed shop daily, doing her dishes, cleaning and whatever she needed to help get through her mountain of a workload. Jacob was her lifesaver in an insanely busy time of growth for the business. He sold his shop and began working with Lisa full-time. A few years later, Jacob and Lisa were married, and able to fully focus on taking care of and nurturing “baby Petunia” together. In 2014, Lisa and Jacob opened their first brick and mortar full service café in the popular West End of downtown Portland. The brick and mortar Petunia’s Pie & Pastries® space is a true personification of the Petunia’s philosophy, branding and image. It is clean, bright, feminine, strong and whimsical. It embodies the feeling that Lisa wants each customer to take home after their visit; comfort, warmth, fun, joy and satisfaction. Lisa is lucky to have a dedicated, hard working father, Charley, who has not only been a wonderful business mentor, but who is also a talented general contractor. He built out the bakery and made Petunia’s Pies & Pastries® into the sparkling spectacle of a space that it is known to be. Just before the grand opening, Lisa managed to steal her big sister, Erica, away from her career in cosmetic sales, product development and marketing to come work with Petunia’s Pies & Pastries® to manage the wholesale, marketing and bookkeeping portion of the business. Lisa’s father and sister are her other two lifesavers who have worked hard to help make the business flourish. Lisa & Charley, doing some manual labor! Now, Lisa and Jacob have two sweet, precious, very busy little toddler boys and still work hard day in and day out to continue to grow the business, provide growth opportunities for our hard working staff and to provide the best quality product and experience for our loyal customers. Demand has grown for our quality niche product and the attitude and experience that Petunia’s Pies & Pastries® serves up with each pastry. From here, they hope to one day open more locations in other cities, expand their wholesale market outside of Portland and release a Petunia’s Pies & Pastries® cookbook. Of course, while taking care of their growing family and enjoying these special years in their children’s lives. At Petunia’s Pies & Pastries®, we handcraft our scrumptious sweets using only top quality, natural, fresh, local and seasonal ingredients. Only the best for us. We believe everything you eat should make you feel great. You should feel great eating dessert too! Our yummy treats are not only the best in town but good for you too (if you are going to eat dessert)! Our products are created with great intent, passion and attention to detail. Each item has somewhat of a personality and a purpose to fulfill each customer’s need depending on what the occasion calls for. Our items are flavorful with a balance of textures. They are fun, playful, creative and unique. They are inspired by our customer’s needs and desires: simple, flavorful, comforting, familiar, downright delicious desserts that are guaranteed to please any tummy. Whether that tummy is gluten free, vegan, or not! We believe that people should settle for nothing but the best. There should be options; a variety of choices amongst the most delicious and diverse product mix. We work to please each and every customer. We are in the business to make people happy, satisfied, warm and content. We show them that food restrictions or not, they can still enjoy the sweeter side in life! Lisa & Petunia’s Pies & Pastries® have been featured in Food & Wine, Bon Appetit & Sunset Magazines, The New York Times, and has competed on The Cooking Channel’s Sugar Showdown.